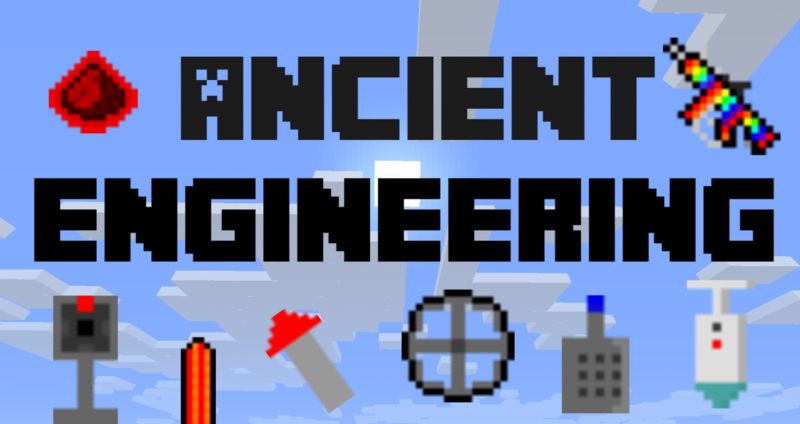 This mod adds gadgets, robots, missiles, guns and more to help you in your adventure. This mod is not being updated anymore! 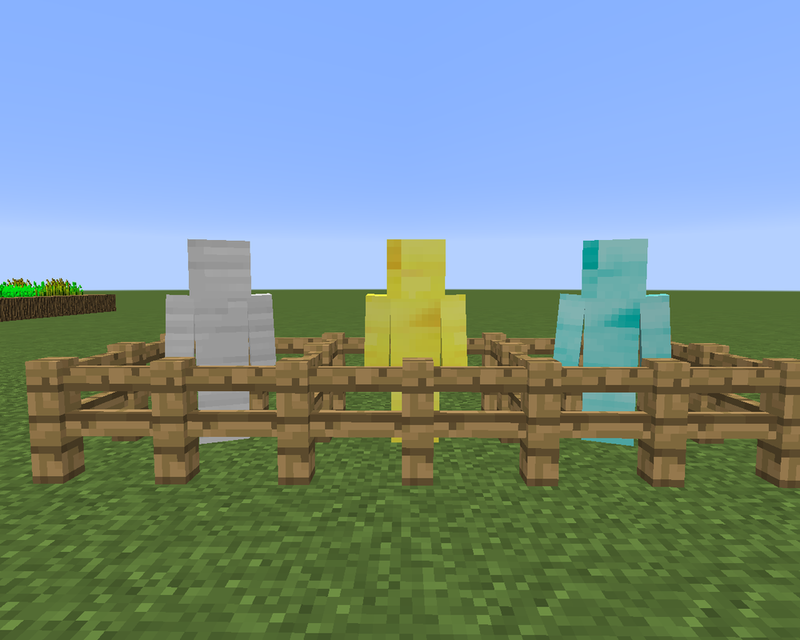 Guardians are meele friendly mobs that attack most vanilla agressive mobs. To spawn these Guardians you right-click on a Guardian Factory with the proper material. Guardian Factoryes are the blocks wich you spawn the Guardians with. They give the tier of your Guardian. 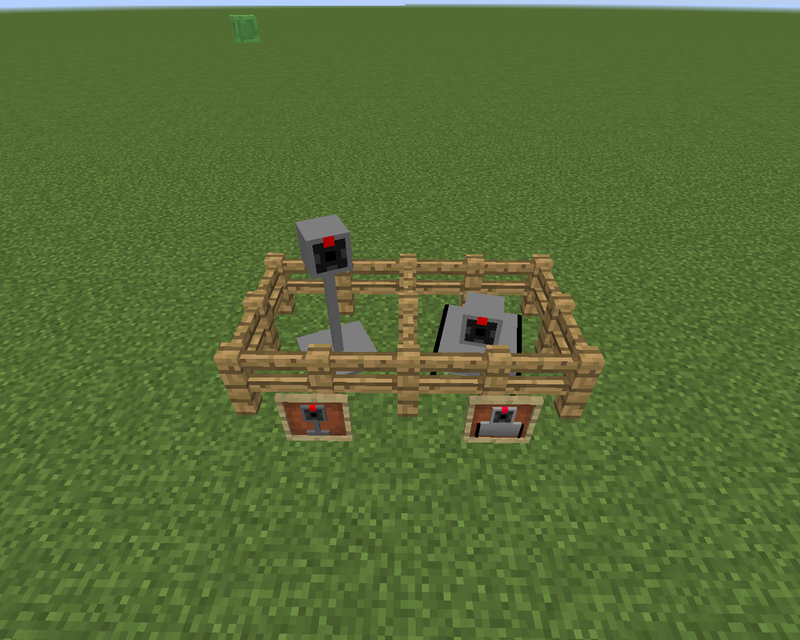 Both Turret and Drone are ranged friendly mobs that attack most vanilla agressive mobs. Unlike the Guardians, these robots don't wander around searching for enemies. While the Turret cannot move, the Drone only follows the player when it holds the Remote. 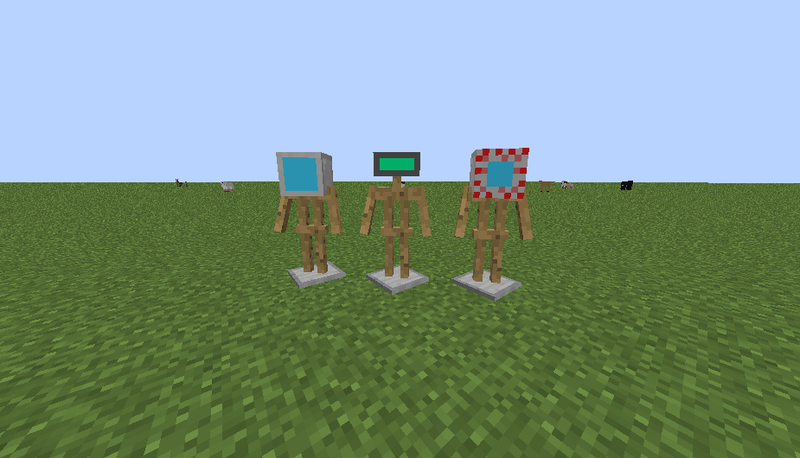 These Robots can be obtained from the Assembly Table. 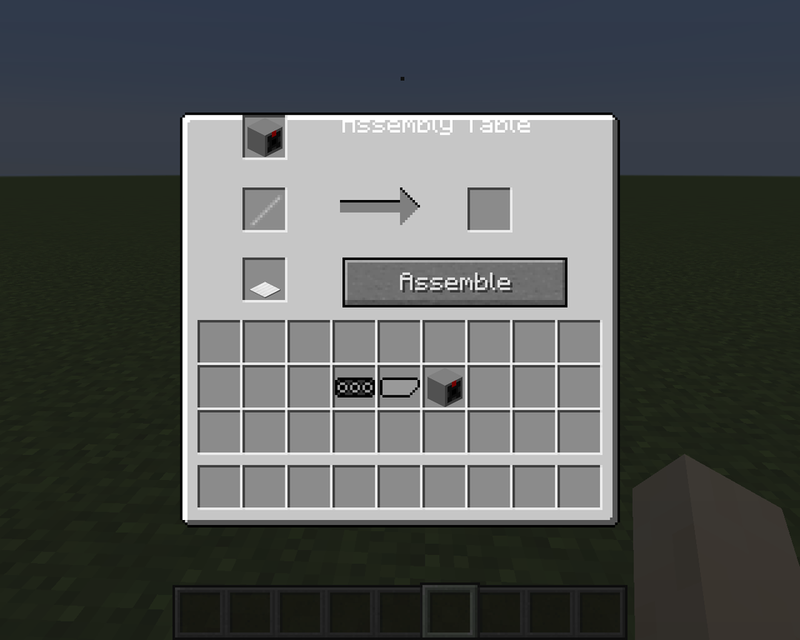 The Assembly Table is a block in wich you can assemble robots. The Robot Remote is an item wich makes all robots follow you. Mac hine Gun has 1000 uses, 5 power, 3 damage, 0 knockback and uses Iron Nuggets for ammo. Flametrower has 1000 uses, 0,7 power, 0 damage, 0 knockback, uses blaze powder for ammo and sets mobs on fire. Rocket Launcher has 1000 uses, 1 power, 0 damage, 0 knockback, uses Rockets for ammo and launches explosive projectiles. Party Gun has 1000 uses, 0,8 power, 0 damage, 0 knockback, uses Energy for ammo and projectiles spawn many particles (but no lag). Plasma Gun has 1000 uses, 2 power, 10 damage, 1 knockback, uses Plasma for ammo and launches explosive projectiles. Shotgun has 1000 uses, 3 power, 30 damage, 3 knockback and uses Iron Ingots for ammo. Sniper has 1000 uses, 100 power, 3 damage, 0 knockback, uses Iron Nuggets for ammo and enables the ability to snipe by pressing Y.
Laser Gun has 1000 uses, 8 power, 5 damage, uses Energy for ammo and sets mobs and blocks on fire. Fusion Table is a machine used to fuse gadgets of the same type to create more advanced technology. 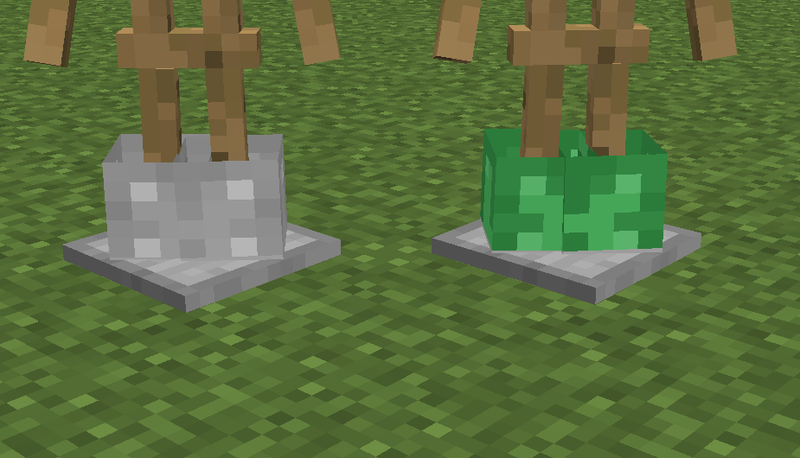 Speed Boots are a better alternative to Iron Boots since they give Speed when equipped. Spring Boots are a better alternative to Iron Boots since they give Jump Boost when equipped. Night Vision Helmet is a better alternative to Iron Helmet since it gives Night Vision when equipped. Underwater Helmet is a better alternative to Iron Helmet since it gives Water Breathing when equipped. Rabbit Boots are the fusion between Speed Boots and Spring Boots so they give both Speed and Jump Boost when equipped. Advanced Underwater Helmet is the fusion between Underwater Helmet and Night Vision Helmet su it gives both Water Breathing and Night Vision when equipped. Camo Armor is a better alternative for leather armor since it grants Invisibility. Bulletproof Body is a custom body that absorbs 25 damage, has 7 damage, 1 toughness, 12 enchantability and comes pre-enchanted with Projectile Protection 100. Missile Control Panel is a machine used to launch Missiles at set coordinates. Depending on the missile's tier, the explosion can be bigger or smaller. Redstone Convertor is a machine used to convert Redstone Dust into Energy. Warning: all the Redstone Dust in the input slot is converted at once. Redstone Cooker is a machine used to cook vanilla food instantly using 1 Energy per item. Redstone Furnace is a machine used to smelt vanilla blocks and items using energy. Smoke Machine is a machine that spawns smoke particles in a flat shape. Smoke Column Machine is a machine that spawns smoke particles in a tube shape. Drills are better than pickaxes but are also more expensive. 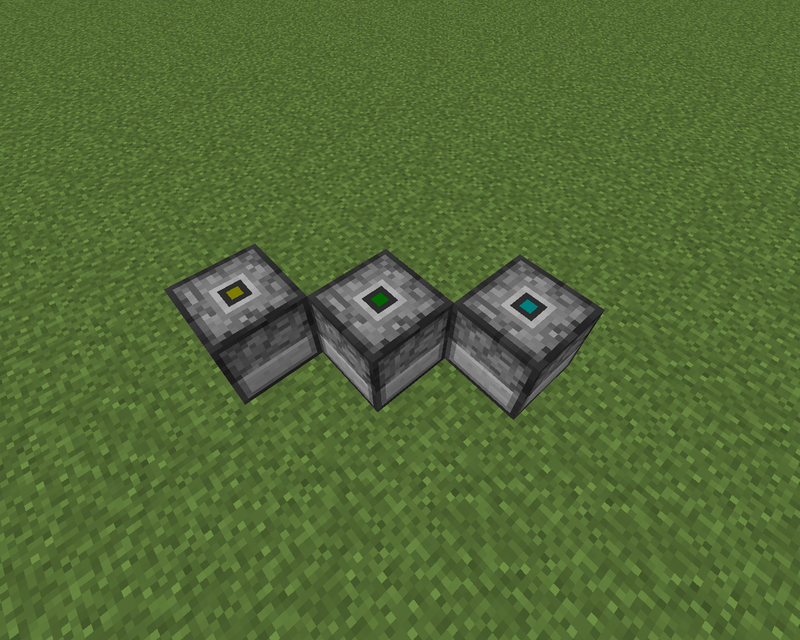 Mecanical Lamp is a block that produces light without Coal and/or Glowstone. It comes in 3 tiers. 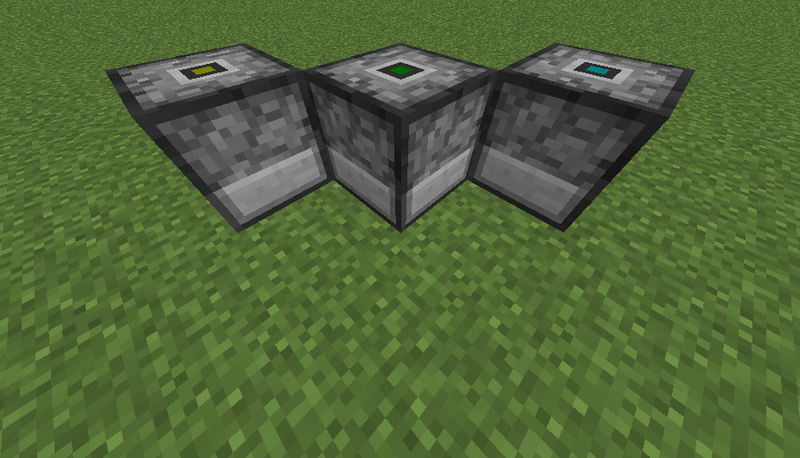 Rainbow Block is a block with animated texture and 100% of Lava's lightness. Rainbow Lamp is a block with animated texture(color changing) and 100% of Lava's lightness. Ground Fireworks are uncollidable blocks that spawn particles. When holding a gun without ammo in inventory a message appears on the screen saying: "No Ammo"
Renamed "Aditigro's Ancient Engineering Mod" tab to "Ancient Engineering"
Plasma Gun, Shotgun and Sniper no more shoot constantly on right click. Thank you, your support motivates me to update it. Congratulations for winning Mod of the Week! Your mod was also promoted on our official subreddit (https://www.reddit.com/r/MCreator/) and Facebook page (https://www.facebook.com/MCreatorModMaker/). Concept is pretty good but the textures... No offense but they are SUPER BAD I’m really sorry. But I like this mod! This is a good mod. I like everything behind it. I actually can't belive this is MOTW... And the downloads, they exploded. That's awesome! P.S I know the textures are bad, I'm not good at pixelart.